click photo to enlarge The Diffenbacher's are at it again. 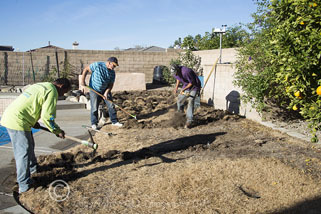 Now we are working on trying to make the back yard more water wise. 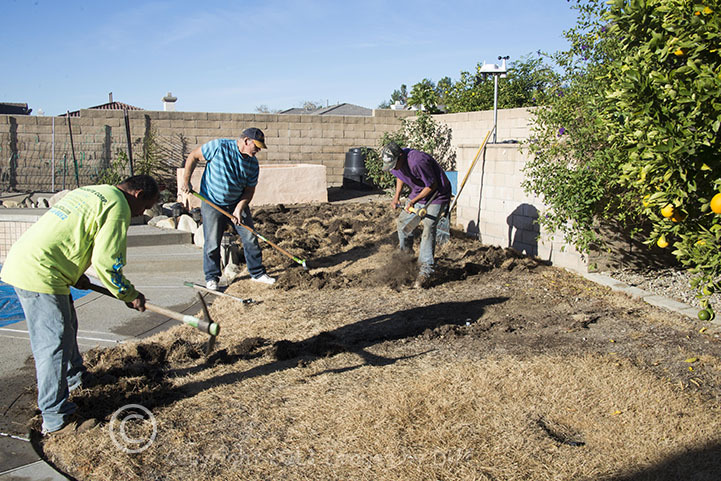 I had originally planned on removing the grass and planting Buffalo grass because it uses less water then the usual turf grass. But after touring homes last spring we saw a yard with creeping red fescue and we decided to go with that. 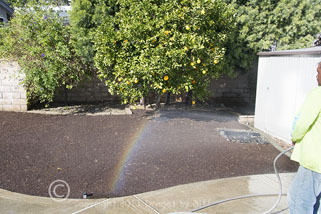 We only did this one side of the yard to give it a try first. 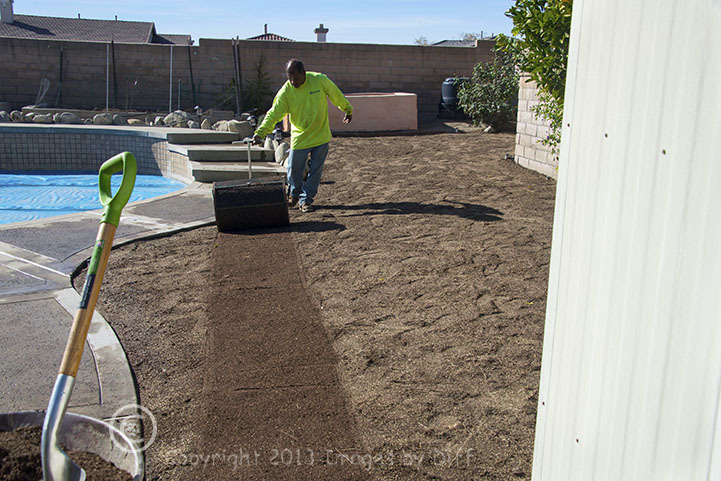 It is supposed to require 1/3 the water of normal turf grass. You also plant it and let it grow, do not mow it. It gets 12 to 18 inches tall and kind of flops over. 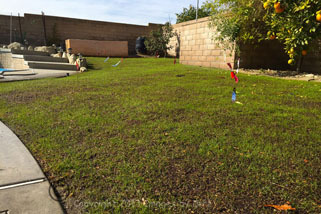 click photo to enlarge It is now mid January and the grass is coming in. It is growing a bit slow because it is winter time after all, but it is growing. In Cleveland you could not even consider doing this. 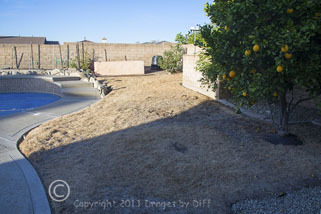 I also built a raised bed about waist high that can be seen near the wall. I have already planted my lettuce, broccoli, strawberries and onions and they are all growing. If this turns out good we will do the rest of the back yard this way. If it doesn't... well maybe we will plant more rocks. They really require less water then turf grass.